When it comes to Father’s Day, it’s true that it’s the thought that counts. We just happen to believe that you should learn to think beyond ties and mugs. 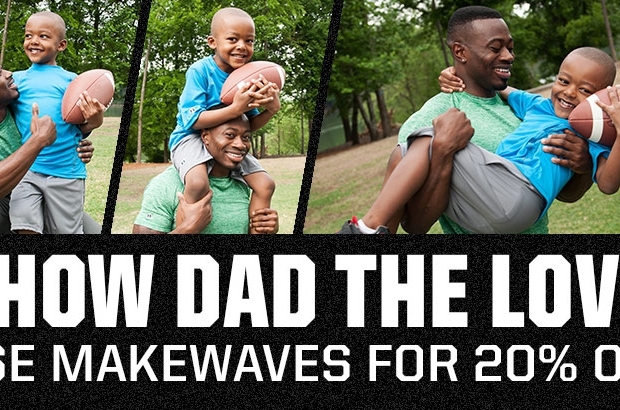 Give the active dads out there what they really want: fitness gifts. Find out what gear he needs and go from there. If you’re unsure, new lifting gloves or belts always come in handy. Is he a new gym goer? Sign him up for personal training sessions that he can use to start his own routine. If the gym isn’t your dad’s thing, just look to his outdoor hobbies for gift inspiration. From personalized golf balls to a brand new rod and reel, the sky is the limit. If you really want to up the ante, offer to head out with him on his next adventure. Does the dad in your life love hitting the pavement? Hook him up with the newest tech in the form of a fitness watch or wireless headphones. If he’s into more simplistic running, grab some wicking socks and energy gels. More and more dads are hopping on the Yoga bandwagon and reaping the health benefits because of it. Support him by gifting him a new mat, towel, or studio pass. 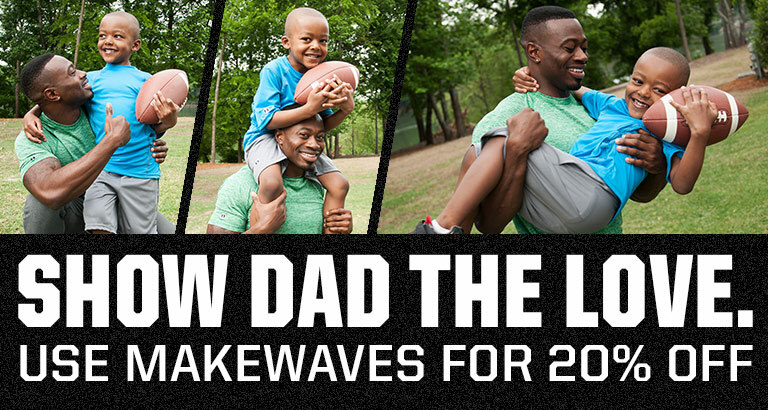 No matter what Dad is into these days, he’ll need performance gear that works as hard as he does. From athletic tees to golf polos and from gym bags to beanies, Holloway has you covered.